The origins of the word “burgeon” include references to wool, used to describe the fluff or down on flower buds that are growing, putting forth shoots…burgeoning! 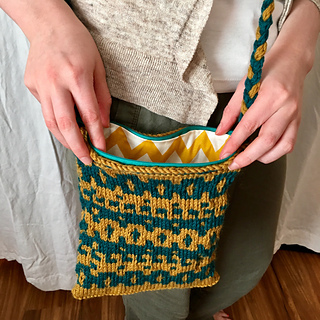 Your knitting will burgeon with color using the Mosaic Knitting technique. 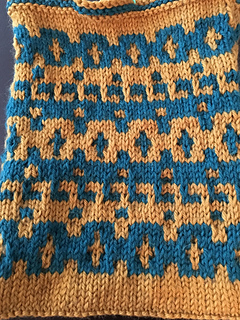 Slip-stitches give you the chance to add more than one color to a row, while using only one color at a time. 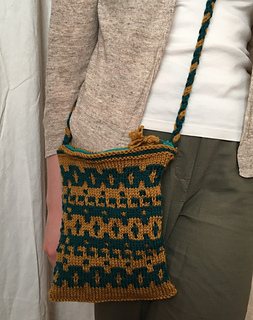 Knit flat then sewn together for added stability, personalize your bag with handle length and lining fabric. I added a zipper to keep things neat--see the tutorial on my website for an easy how-to for tackling this step.